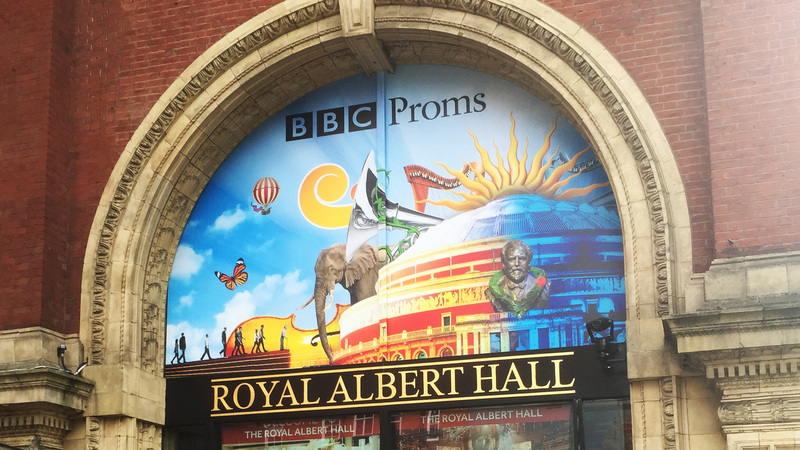 We have had the privilege of working on many high profile projects, but few have the prestige of The Proms at the Royal Albert Hall in Kensington. 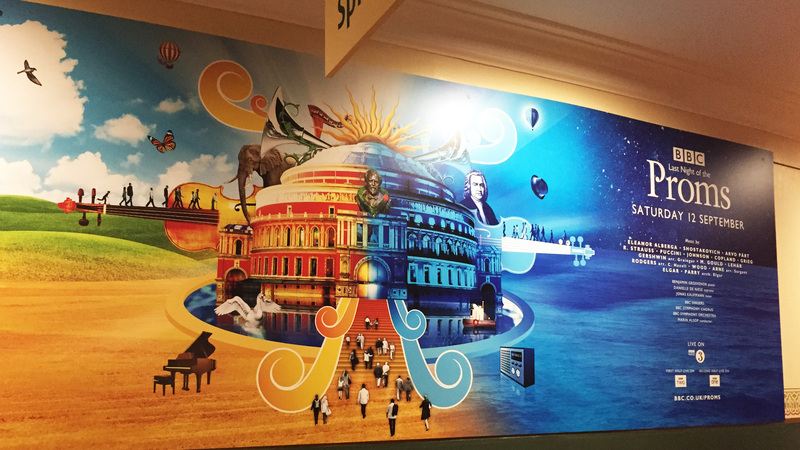 It has been our honour to be associated with them for the last 6 years where we have produced and installed numerous bespoke branded graphics for ‘The world’s greatest classical music festival’. The list of elements involved include; Roller banner systems, window vinyls, outdoor PVC hanging banners and Lightbox graphics, and the internal exhibition branding. 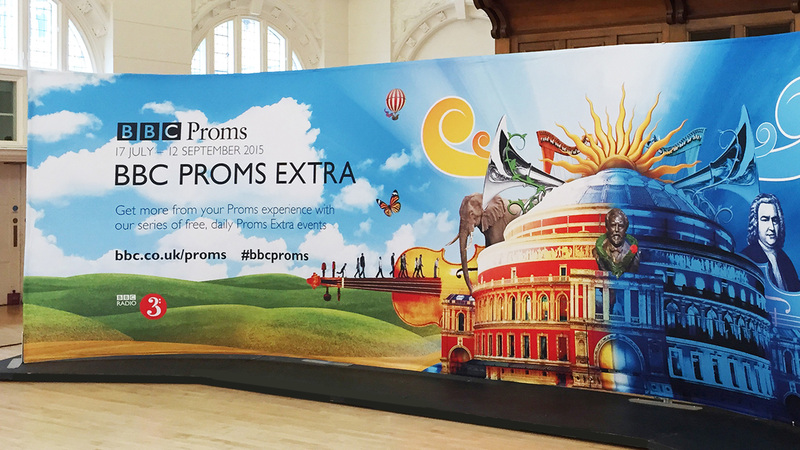 We also supplied the large stage branding for the Royal College of Music.